Here is a screen shot showing the Choose Skills menu that is displayed just before a new level is played in Lumberwhack: Defend the Wild. Five skills have been unlocked and is available to choose from. 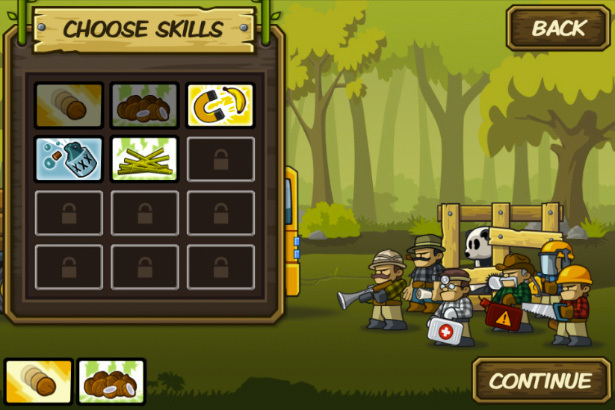 All of the skills are quite different from each other and it is up to the player to choose which one he/she prefers.